This revelation is, on some level, far less dramatic than my headline might indicate. American political consultants of all stripes regularly take on international clients, so the fact that a team of Obama 2012 field organizers -- including one senior operative -- is playing a role in the upcoming Israeli elections isn't especially out of the ordinary. But there's nothing ordinary about the current US-Israeli political row. We have a president who has been uniquely hostile (by American standards) to Israel's leader and interests from day one. We have an administration that has openly criticized Israel's internal policies, and has ignored Jerusalem's pleas vis-a-vis ongoing nuclear negotiations with the Iranian regime -- which have even begun to irritate top Congressional Democrats. We have a White House that has flagrantly insulted the Israeli leader in the media, which may not be much of a surprise given the president's accidentally-revealed attitudes. We also have an Israeli Prime Minister who once publicly lectured the president on matter of Israeli national security, certainly deepening the frosty nature of their relationship. And we have a planned speech by that same PM to a joint session of Congress scheduled for later this year, over which the White House is almost comically apoplectic. Team O says they're seething about the scheduled address because it was arranged without their advance knowledge (because they're such sticklers for the separation of powers), and because it could give the appearance of "unprecedented" US meddling prior to Israel's elections. For that latter reason, they say, Obama won't meet with Netanyahu during the visit. But is it really unprecedented? Obama has met with various European allies in the months preceding their election campaigns, but Netanyahu's appearance on Capitol Hill will come just weeks before Israelis go to the polls. The White House pretends this is unimaginably inappropriate, evidently failing to recall President Clinton's decision to host former Israeli Prime Minister Shimon Peres a few weeks before that country's 1996 elections. Maybe they mean unprecedented in the Obama era? Nevertheless, the White House has pronounced itself furious and scandalized over the appearance of meddling. Well, what appearance does this convey? An organization known as “One Voice” has brought in what has been called a "five-man Obama team" to defeat Israeli Prime Minister Benjamin Netanyahu. Included in that five-man team is Jeremy Bird, the national field director for Obama's 2012 campaign...That group...will run the anti-Netanyahu effort out of offices taking up the ground floor of a Tel Aviv office building. The campaign, known as V-2015, is careful not to support a specific party, but is working to ensure Netanyahu does not win Israel's March election. Because the effort is not supporting any specific candidate or party, Dr. Lerner said, foreign funds -- meaning monies coming from outside Israel -- raised by the campaign are not subject to that country's campaign finance laws. Jersusalem Post columnist Caroline Glick...noted that Obama said he wouldn't meet with Netanyahu during his upcoming visit citing the proximity to the Israeli elections. "And Obama, of course believes in protocol and propriety which is why he won't get involved," she wrote on Facebook. "No, he's not getting involved at all. He's just sending his 2012 field campaign manager to Israel to run a campaign to defeat Netanyahu. That's all. No interference whatsoever." News of the team's arrival in Israel comes just days after the administration accused House Speaker John Boehner, R-Ohio, of “breaking protocol” by inviting Netanyahu to address a joint session of Congress. Again, American politicos working for foreign clients is nothing new. But since we're terribly concerned about appearances and sensitivities, perhaps the president ought to make a public effort to call off his dogs, or at least strongly distance himself from V15's work. (He presumably can't prevent these consultants from doing their work or collect their paychecks, despite his rather broad view of his own authority on most matters). Also, what's this all about? A U.S. State Department-funded group is financing an Israeli campaign to oust Prime Minister Benjamin Netanyahu, and has hired former Obama aides to help with its grassroots organizing efforts. 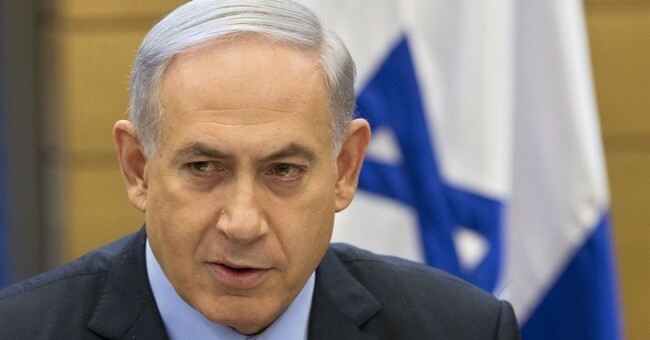 U.S.-based activist group OneVoice International has partnered with V15, an “independent grassroots movement” in Israel that is actively opposing Netanyahu’s party in the upcoming elections, Ha’aretz reported on Monday. Former national field director for President Obama’s 2012 reelection campaign Jeremy Bird is also reportedly involved in the effort. OneVoice development and grants officer Christina Taler said the group would be working with V15 on voter registration and get-out-the-vote efforts but would not engage in overtly partisan activities. She said OneVoice and V15 are still formalizing the partnership. While V15 has not endorsed any particular candidates, it is working to oppose Netanyahu in the March elections. OneVoice insists that none of the State Department grant money is being used for activities related to the Israeli elections, but good heavens, aren't these appearances quite problematic? Protocol, optics, and such. As for the timing of Netanyahu's speech, Jennifer Rubin points out that the administration's extensions with Tehran and the timetable on new sanctions outlined by a group of Senate Democrats have upped the stakes of the address, which will now occur before a key Senate vote. Still, Jeffrey Goldberg wonders if Netanyahu is unwisely compromising the bipartisan support his country has always enjoyed in Washington by "ruining" his relations with Obama and accepting what could be seen as a partisan invitation from Boehner. It's a fair question, perhaps, but isn't President Obama (by far) the primary culprit in fomenting the recent upheaval in US-Israeli relations? It's no coincidence that Obama's ratings are abysmal among Israelis. Indeed, by throwing this conniption fit -- replete with dramatic attacks against the Israeli ambassador in the New York Times -- might the White House be boosting Netanyahu's standing at home? Defying a US president is risky for any Israeli leader. Defying this US president might prove fruitful, electorally. Might. I'll leave you with Pete Wehner flat-out calling Obama "anti-Israel." This has gotten very ugly. Smart Power at work, as the clock ticks on Iranian nukes.